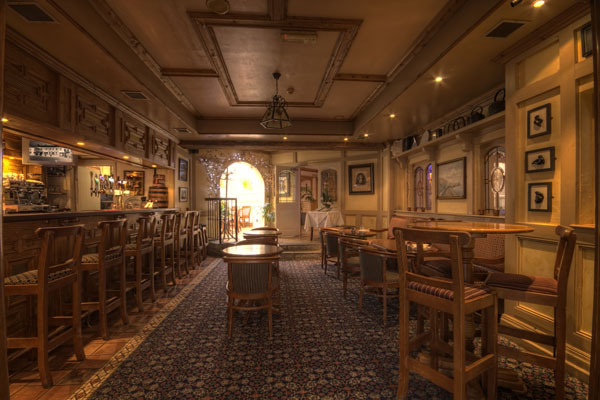 McKevitt’s Village Hotel is a family run hotel that lies in the heart of Carlingford. It offers 17 ensuite bedrooms with a warm traditional decorative theme. Each room contains tea and coffee making facilities, television, iron and hairdryer. Wireless broadband is available to all guests throughout the hotel. Guests can avail of family, twin, double, single or triple rooms. The hotel offers superb dining in Schooners Restaurant where you can sample the culinary delights of our locally sourced ingredients. 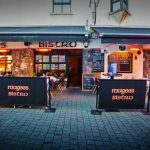 The restaurant is a member of the Good Food Circle which aims to promote Carlingford Restaurants through the use of indigenous produce. Also available is our extensive Bar Snack Menu where you can be tempted by such favourites as our unrivalled Seafood Chowder, Carlingford Mussels and Oysters. Evening Entertainment in the Bar is provided by local musicians throughout each weekend with a disco on Saturday night. Local group Celtic Dawn plays each Monday night. Guests can start their day by choosing from our Breakfast menu offering- The Full Irish (vegetarian or regular), Kippers, Fresh Fruit, Cereals, Yogurts, Grapefruit, Juices, Homemade Walnut and Wheaten bread, Tea and Coffee. There are many packages available from One night stays to Mid Week and Weekend stays with or without dinner. We also have special Group Rates. We can also help coordinate Activity Breaks, Corporate events, Weddings and Functions. Carlingford is a wonderful medieval village of natural scenic beauty and at McKevitts Village Hotel we aim to ensure that you feel comfortable and ‘home from home’.